WHY WAIT TO BUY, WHEN YOU CAN RENT TO OWN? When you need a good quality storage barn, it’s hard to wait for years to buy one. 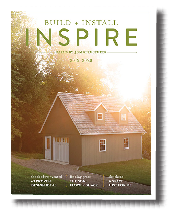 With the Rent-to-Own program, a factory-built barn can be installed and used while it’s being paid for. Rent-to-Own helps you begin using your storage barn right away, when you need it. Rent-to-Own makes it easy to afford with a three-year or four-year rental program. Rent-to-Own is an excellent alternative to renting a storage unit. The monthly payment simply replaces the rent, yet your barn is conveniently at home – and soon you own it. 1. Your completed Rent-to-Own Worksheet. 2. Driver’s license. Copy in color (preferred) or enlarge and copy in b&w. 3. Signed Landlord Release or Opt-Out. Customers who own sign on the Opt-Out line. Customers who rent must have their landlord fill in and sign. Send in the completed form. 4. Down payment. If paid by personal check, add 10 days to production/delivery. In a few days you will receive a Rental Agreement by mail. Review, sign and return it. After making regular monthly payments for the term you selected, you own your barn! *All documents are required before a building will be delivered. Sorry, this offer is not for all barns. Only factory-built barns qualify. Rent-to-Own is managed by RentOwn, a leasing company that handles all administration and paperwork. The customer must make monthly payments and maintain the property in good shape during the rental period.